Taken on Tuesday afternoon. About half an hour after I'd cleared the desk to work on something. Really. I know it looks really flash to have the iPad in full frontal, but I've made some notes on it for a workshop and was making another master board, following my own notes..to see if they make any sense at all. But as anything I write makes sense to me, I probably should try a real guinea pig! You can see my delicious collection of brown and neutral ribbons. Well...the lengths that aren't stored elsewhere. I may have a whinge about this in another post....might as well carry on talking about ribbons...they never sort themselves out! The yellow basket at left holds inks and stamps and blahdy blah pertinent to the workshop I ma working on. The basket at right has acrylic blocks and other stuff that should be properly put away buy now. But in the basket = out of my way, so, well, there they stay for now. The ladder and the fork continue to make their presence felt for those of you who like a routine...I think Mr D has realised that not putting them away keeps him front and centre of my mind when I'm at my desk.......For once, I've only got one pair of scissors to hand too. I think I stopped to take the photo at just the right time! So, share your space..desk, floor, tray, arm of chair, kitchen worktop..wherever and whatever you are creating, we like to see. 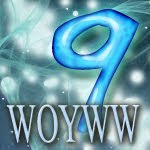 Use WOYWW in your post title so we can find it easily, and link your post here....we'll visit if we can. still awake at silly o'clock... much prefer the mornings! seem to have made no 1! but that might chnage... desk looks productive and oh I wish I had an ipad.. actually a laptop would be good... have to suffice with a phone as a mini laptop.. works well.. diary, notes, etc. sadly need glasses to read it! I read the title of the black book.... something about amnesia but I can't remember what it was!! Quite a proud mess there and it looks like you've been up to allsorts but there's no evidence of results except the tiny torn bit of something on the paper. Funny you mentioned ribbons.... I tried to solve my ribbon probs but failed miserably. I wasn't going to mention those ladders or the fork incase it was a sore point... seems it is!! hi there, It would seem insomnia has it's good side, silly o'clock works for me. Looking good on your desk but as usual you have a very small space to work in. There might only be one pair of scissors at hand but I can see plenty more lurking in the background! I'm thinking that large book, precariously balanced, is destined for altering? Happy WOYWW! there is a yellow/gold colour scheme going on there, very co-ordinated indeed! i like the fork and ladder, makes me forget it is winter! only snow in our garden, I am less likely to forget! I love all your ribbons, and I always think, if things are in a basket and out of your way, they are away enough to work! Have a great Wednesday and a fabulous week! p.s. I'm posting early (it's my Tuesday) because my granddaughter is sick and I may have to babysit. I had every intention of getting here early, but I had company and got home about the time your post came out. So I've been running late ever since. I wanted to tell you, you have two weeks to wallow in those pages. I believe that should give you time. Yes, ribbons have a mind of their own. They never sort themselves out without a bit of help. I've never had an iPad, but I can tell you are putting yours to good use. An i-pad on the desk and the ladder outside - a picture of balanced life methinks! Ribbon rage rules my embellie corner...I have plans for winding them all in my 39th week...! Hi there Julia - love the ipad full view, myself, yet to invest in one and maybe the ladder is a real focal point each week indeed must fly literally? no, not literally! must go happy WOYWW! Shaz in Oz. #27 i think..
Julia, I spent hours and Hours and HOURS sorting out my ribbons. And they've stayed that way. It was a TON of work, and worth it, but definitely something only for a time when one is in the mood. Another anniversary? Didn't we just have the last one? I'm drooling over the Ipad...you lucky girl! I know what you mean about ribbon...I have tried several different organizing ideas but none are quite right. But you look like there is an order to what you are doing. You know where everything is and you are accomplishing lots! That's what counts. I get too wrapped up in tidying my room and should just be crafting instead! Very busy desk ) so much staff to play with ) I like it! happy wednesday!!! its been awhile since I was here. loved your creative mess!!! Oh, the I-PAD..I keep researching brands etc..but. It sure would be handy at the crafty desk. Seems more and more are going digital and I kinda hate to see that. ALL this STUFF will be eliminated? ? Glad I'm not the only one not making all the rounds. I try but.. Thanks for sharing. New recruit here! Love all the bits and ribbons on your desk. Glad you can use an ipad, I've given up, it keeps doing what I don't want it to. I'm sticking with a good old fashioned computer. It is amazing how fast a desk can get trashed...but really does not take long to clean either! Just looks impressive LOL! I think Mr D is making sure we don't forget him...I think we all look for the ladder now. And what was the answer to your blog candy question??? Oh wait...is it the 22nd yet...all my days run together ! Oh my...must be bed time in my neck of the woods! What would we do with our Wednesdays if it was not for the wonder of WOYWW? It's always fascinating to peek through the window into your creative arena so thank you for letting me peek in. Hope you have a good week. Your desk is looking full this week. Ribbons are the bane of my life too at the moment. I need to do something with them! Ha! The first thing I checked out was to see if the ladder was still there! Sorry. Maybe you should have someone take it away and see how long it takes for Mr. D to notice. Lovely brown/neutral ribbon stash! I do so love ribbon! I wish I could visit everyone - so much talent and great projects! But this is not possible so I try to visit as many as I can. And now that ridiculous new word verification is keeping me from leaving comments when I do visit. I have poor eyesight which makes it impossible for me to read the words but I don't see how anyone can decipher them! The last comment I left on a blog that has this verification it took me 4 trys to get it right! Wishing you a happy day! I posted my page last night, and then re-dated it for today as I really needed my sleep! Can't quite get over the fact that I'm now #51 at what used to be silly o'clock in the morning! Glad to see that your idea of a cleared desk is similar to mine - there's hope for me yet. Gets busier every week on here but no wonder, not only are you featured in magazines but get a mention by Dyan R on QVC yesterday. According to Dyan lots of us have photos of Tim Holtz on our desks - still looking for the one on yours. Up at 6:45, again. and still 56th to post link, at this rate I will be getting up before I go to bed. Here for the first time from Create with Joy. I am sharing a knitted project. Lovely busy desk!!! Love the ribbons, they look fab! it's in the wee early morning hours here, but what better time to view blogs! Love your window view and busy desk. I have a tangled mess of ribbons too that need some sorting. Always much to do! As always your desk is ripe for a rummage! Is that huge book the one you're altering? I practically stood on my head to read the title thinking it was going to be somehow pertinent to your post today! I am having trouble with blogger (it's an Internet Explorer issue apparently, blogger say change my browser to Google Chrome - well they would, wouldn't they!) ok, rant over, desks to visit, lol!! You have a lot of orange on your desk this week. and!!! That folk is still stuck in the lawn...actually....looking out of my window the creeping climbing thing is still dangling for it's trellis and sprawled across the path way... I think it's about time I go set the postman free...some one must be missing him by now!! I love your window looking out into the world! So what if those things are not put away...you can still see grass and sky. I love my window and sit watching the birds sometimes! are you reading that book or will you be altering it, Julia? i wonder what we will be doing for the anniversary? happy WOYWW, and thanks for hosting! I'll be your guinea pig, I have a nasty habit of taking instructions too literally and tripping myself up! I've just spent a few minutes wondering why you have a big book titled Carnival Animals on your desk, only to look again and see it says Criminal Amnesia - I think?? Love ribbons, it's my addiction! I also love my ATG and I see you have one, don't know what I did before I had mine. 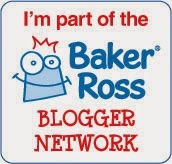 I am always amazed at the number of blogs people manage to visit, I try to do more each week. Lol at the ladder and fork ... hopefully they will eventually disaapear from view!!! Fab creative desk this week Julia, and don't mention ribbons ... you should see mine! Wow, very busy desk! Love the pile of ribbons, think a ribbon sort out is gonna be my next job! I think I look forward to seeing the ladder and the fork as much as the fun crafty stuff on your workdesk. In terms of trying to get to all the workdesks...I have a bit of a method to my madness. I try to visit at least the first 20 as well as the blogs of people who have stopped by mine and then I just try and pick a couple out of every ten....does that make sense? Well, I hope it does. Thanks again for creating the avenue for us to share our latest creations! I agree with hardwick creations - first thing I did was look out the window! Love checking out your desk, and this week I feel quite virtuous as you can actually see both wooden table top and craft mat! Well I don't always make sense, even to myself! Should I worry? Maybe Mr D wants to be part of WOYWW too and that is why he has put the ladder and fork there. Can't wait to see what he will add next week! Love the gardening equipment - will Mr D feel the need to move it on now do you think? Your desk looks much the same as mine, in terms of tidiness! There may only be the one pair of scissors this week, but there is still lots of lovely crafty stash about. I think I would miss Mr D's ladders and fork if they were to disappear from the background, maybe we should get him to 'alter' the ladders to make them slightly different to the norm lol!! I use ribbon alot, don't seem to have a great organizing system yet though. Got up at 5:30 this am because I was away for a few days and last night had just unloaded some new stamps on my desk, realized how addicting this WOYWW is when I was trying to take pics in the pitch dark! Number 100 this week! I'm awake but only just. Love your desk, and the ladder, and the ribbons that remind me of lovely big strands of kelp. Familiar landmarks are important including the iPad :-) Happy to swing around again. Hello from the other side of the pond! I stumbled into your workdesk last week and fell head over heels in love! What a wonderful thing to be able to peep into others spaces and see how they work! 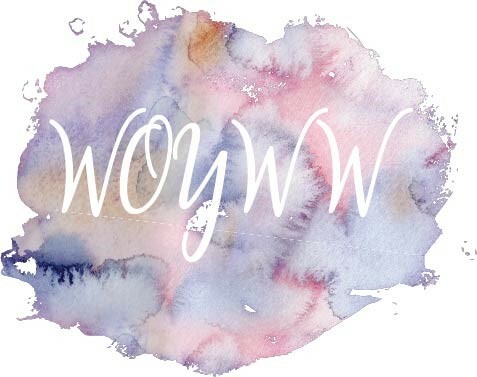 I've posted my first WOYWW link and hope to post many more in the future! I'm joining for the first time, I hope I did all I was suppose to do, what a great party!!! Thankyou for hosting! I finally made it...whew..I would have to stay up til the wee hours to get in early. Our laptop is dying so we're saving pennies for an Ipad. Our grands have one and it's awesome, I must say. I might be able to spirit it into the studio so I don't have to run the length of the house to get to the desktop! On a high after my spiritual retreat last weekend ! Dear Julia. Just a suggestion, but if people turned off the word verif. thingy, we could get round to more desks and leave more comments. I wondered if you could suggest it! Your desk looks like a hive of activity, as always! Love the ribbons - you're right, they never do sort themselves out, do they?! I was at a stamping/scrapping retreat this past weekend and am still trying to get stuff put away. Plus I have a class to teach at a senior's social club this afternoon so my desk is worse than usual. This is a fun "challenge"! Thanks to Angie (# 104)for posting about this! I have an eternal problem with my ribbons too. They never stay unraveled for long. Your desk is looking very busy with lots of goodies on it. I met Donna aka Doone through WOYWW! I think she met Darcy and Gina through WOYWW too! So it is much thanks to you we have all met! HUGS! I'd never get anything done if I had the temptation of anything electrical, apart from my radio, where I craft. You look very professional though, Julia, I'm very impressed. I'm curious as to what that weighty volume is on your desk. I had to stand on my head to read the title and am even more curious now!! Fun post, I didn't know if I should stare at the ipad or the pitch fork.....one adds charm the other adds high tech credentials to everything!! I could never trust myself with something that expensive anywhere near the glue mist scissor area. I've taken to storing my narrower ribbons wrapped around the cards you can store embroidery threads on and keep them in colour families in an embroidery thread box. If you use one of the winding tools it's quite a therapeutic organising session. Hope that helps. I do feel reassured by the ladder and fork each week, their like old friends now. I want to hear about the ribbons some day!! I keep every little piece; don't know what for yet. :>) Enjoy seeing what people are doing. I see the fork is still in the garden, more crafting to be done then! Love all the ribbons, the ipad looks fun too, a really good workdesk if I may say so!!! Wow that is one busy looking desk! 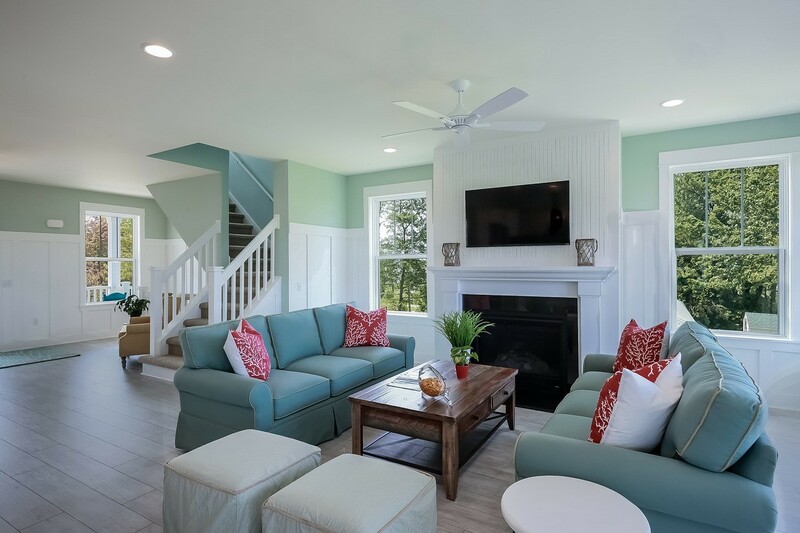 Love your big window, must add some great light! Enjoy your day! I'm getting a handle on this, even added the Linked in, which is great. I think. Did I mention I was new to blogging a lot. miss a miss. I do love your desk and how it filled up so quickly. Mine has a habit of that too.... and that Pitch Fork really caught my eye outside your window. Love windows... I am claustrophobic, you see. thanks! Wow, Julia, do you have time to read all these comments? It is affirming for you to know how much we appreciate that you do this!! so glad pitch forks remind you of Mr D.
one can never get cross and bang ones fist upon ones table when a mighty tome may fall upon ones hands as a result. I think I have you beat this week with a Messy Desk! Can someone come over and clean it up for me? I find it amazing that the first thing my eye goes to is the fork! lol..... especially with all that craftiness right' before my eyes! I have an Ipad too.... just gotten to grips with it and it now appears to be abducted by my five year old who has found the perfect use for such an expensive piece of equipment.... mmm to play the Peppa Pig party game!!!! Am I mad, stupid or just enjoying the peace and quiet!!!!!!!! I am sure there are cheaper ways to do it though!!! lol, happy woyww Julia! oh what a super fun way to share what we are working on!!!! so glad I found this place!!! love your desk!!!! I don't remember if I've commented on your blog or not.... I don't think so. Can I be too lazy to check? Why yes, I can. I just want to say happy YOWWW to you, because I'm feeling a little dyslexic today. And I chuckle that the ladder and fork are still there. Gotta give Mr. Dunnit kudos for consistency. I think you should tie ribbons on the fork and paint doodles on the ladder so you have more to look at out the window. I hope it's o.k that I linked up when it was only Tuesday evening here in the US. I visited blogs that had already linked up, some of which were from the US so I thought it is o.k. Please let me know if that's NOT ok.
Busy, busy desk this week! That ladder and fork crack me up! My hubby so does stuff like that. My craft room is upstairs so the window view would not show any of his left out yard things. :) Happy WOYWW! How very clever to prop the ipad up on your little deck chair, a device of many uses! And oodles of lovely ribbons - yum! >153 WOYWW-ers! Good golly - I bet you didn't expect this sort of success when you started this blog hop. :) Congrats! Hope you have a fab week! I think my desk might be messier;) happy woyww! This series is so much fun!! Thank you very much for hosting this! My IPad is velcroed to me, I am never parted from it. As I am the new girl I hope people will have a look at my blog and let me know what you think. Lynn here commenting from my iPad which is always by my side, it's as faithful as a dog. Hope you will like my blog. As you will see I am clearing out getting ready for some new flooring. It's taking me forever though as cups of tea and cakes keep getting in the way of progress hee hee ! I am way behind in getting around but boy you look busy! Thanks for putting this together. Clever iPad stand - is that a cookbook holder? This is my first ever WOYWW post. I've been watching them for such a long time and decided to just jump in. Hi Julia, I finally made it over for a visit. I visit Spyder a lot and have wanted to post a pic of my desk for a while. Here it is. I will be back soon. Love your desk, but love your yard, too! You see - no snow! We do have it here in southern Finland huge amounts! First time visit for me, Love to see what others work spaces look like. I'll go have a look around now. Thanks for opportunity to show my new craft room. Well, I just entered my first link at WOYWW. I have been having fun looking at all of y'alls work spaces so I decided to share mine. Thanks for looking at mine!